LONDON - Directgov, the government's online public information service, has launched a multi-million pound TV ad campaign featuring a raft of celebrities in a bid to position itself as the 'nation's official website'. 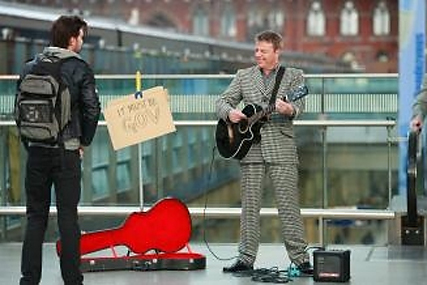 The campaign, created by MCBD, introduces the tagline, ‘I'd go direct, guv', and features singer Suggs, actor Kelly Brook and reality TV star Christopher Biggins. Other celebrities making an appearance in the ad are actors Honor Blackman and Nick Moran as well as journalist Janet Street-Porter. The voice-over for the ad is provided by Oscar-winner Dame Helen Mirren. The TV push will be supported by a digital campaign which invites members of the public to vote for the nation's official landmark, the nation's official pet, the nation's official sweetheart and the nation's official sporting event.